Situated on the Northern part of Luzon with easy access, 45 minutes from Loakan air port, 5 minutes from the city of Baguio and 5 hours from Manila. 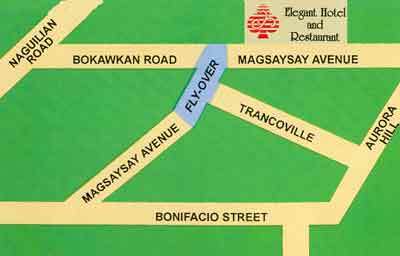 The hotel is located at the Magsaysay Avenue. 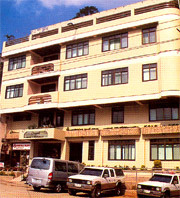 It is along the national road, giving an easy access going to the city. Elegant Hotel is one half kilometer away from Bell Church and two kilometers from the city.